1. Preheat the oven to 375F. 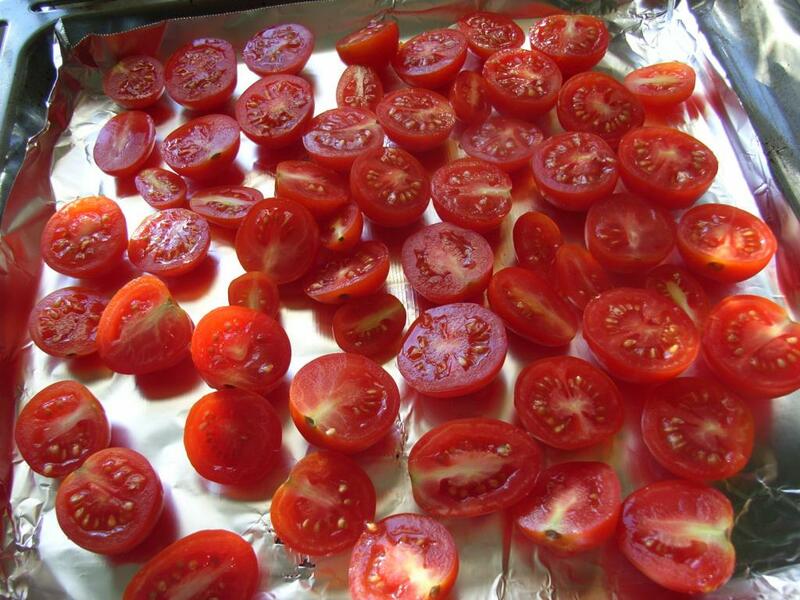 Cut the tomatoes in half and put them on a baking sheet, bake for 10-15 minutes.Take out cool for a while. 3. 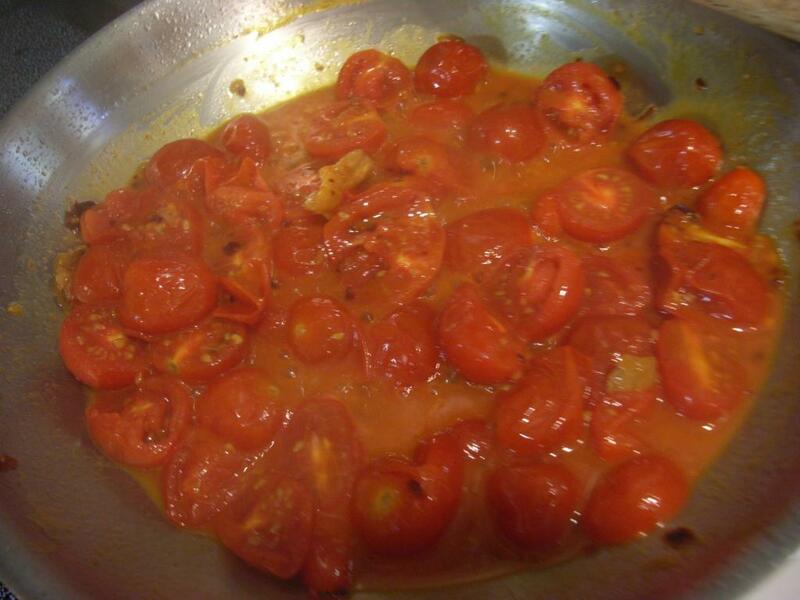 Raise the heat to very high and add the baked tomatoes into skillet, cook for 5 minutes. Season with salt to taste. 4. In the meantime cook the pasta according to the standard instructions. 5. 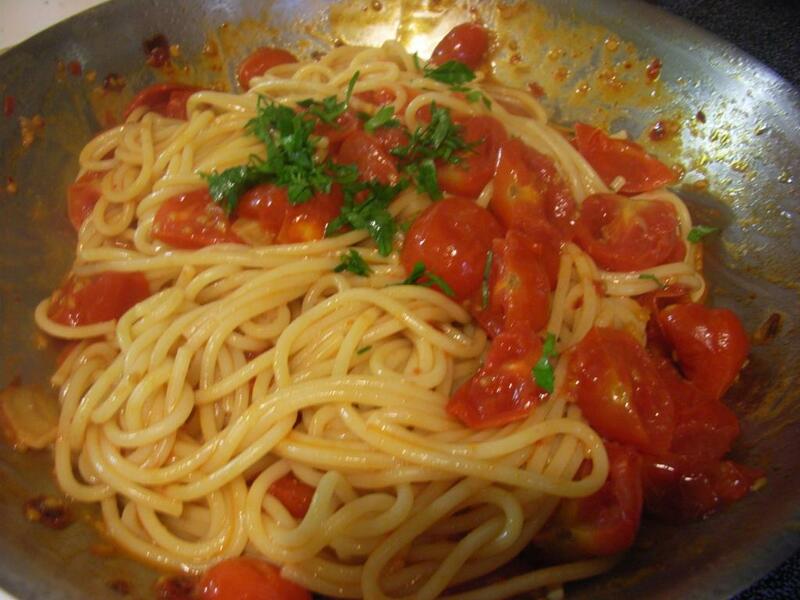 Drain the pasta and saute in the skillet with the tomato sauce for 1-2 minutes. 6. Sprinkle the chopped parsley, Serve immediately. Freshly ground black pepper can be added before serve. 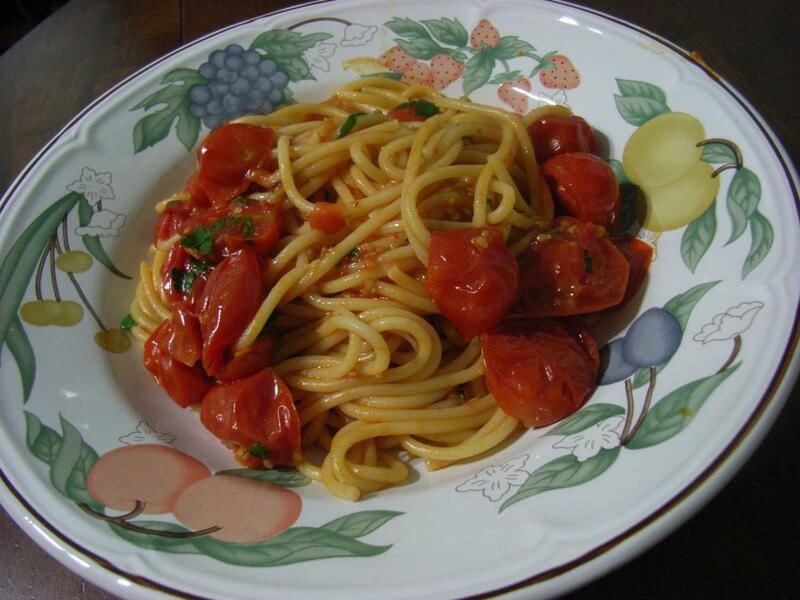 If you prefer spicy, hot red pepper flakes can be added together with salt.